Spend your Fuerteventura surf holidays in our beach-front surf house right in the heart of the island’s surfing epicentre and join Star Surf Camps and like-minded surf travellers for a surf holiday week of perfect waves suited to all levels of surfing ability! In traditional Star Surf Camps fashion, you’re sharing the magic of surfing in a social surf atmosphere and our surf house team of hosts and surf coaches in a picture-perfect location. Serviced by all major European budget airlines, fly to us to see the real Fuerteventura and to share the true island surfing experience. Welcome to surfer’s paradise, El Cotillo! 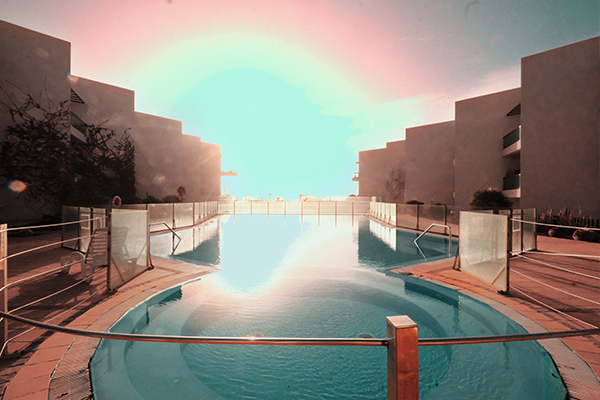 2 balconies, 2 sun terrace, swimming pool, open-plan living, fully-equipped kitchen & more! Fuerteventura, Europe’s Hawaii, offers surf spots for all surf levels & surfing abilities! 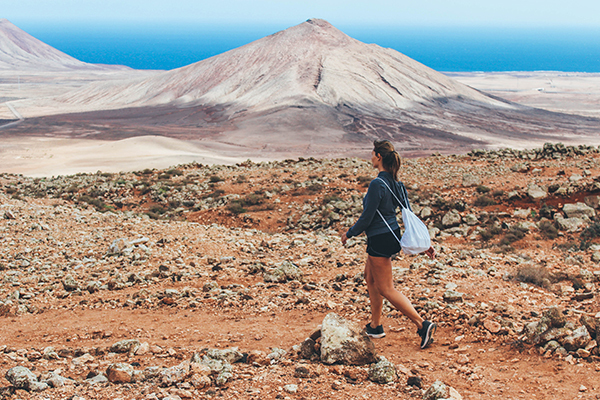 Being an island paradise with surf suited to all levels, volcanoes that grow out of the ocean and a culturally rich and diverse population, Fuerteventura is often referred to as Europe’s Hawaii. With warm temperatures in- and outside the water all year round, Fuerteventura has the sunniest and warmest climate in all of Europe. The conditions in the water are perfect for first time surfers as well as for those looking to improve their existing surf skills. And with our qualified team of international surf instructors, you can be sure to be in good hands. 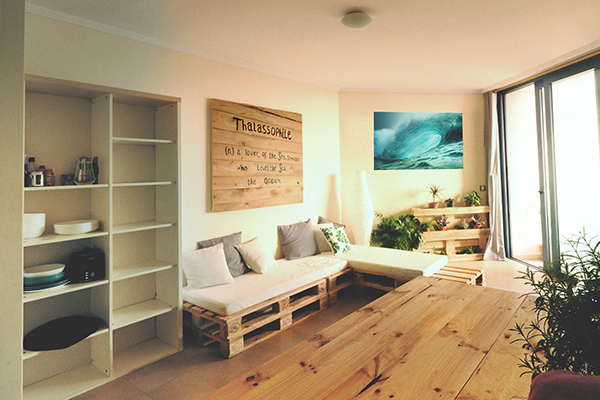 Here on Fuerteventura, we offer a great surf house accommodation with stunning beach views right next to the turquoise lagoons of Cotillo Lagos. Live and surf in comfort, and experience a great variety of waves on more than 30 surf spots to the North, East and West coast of the island. 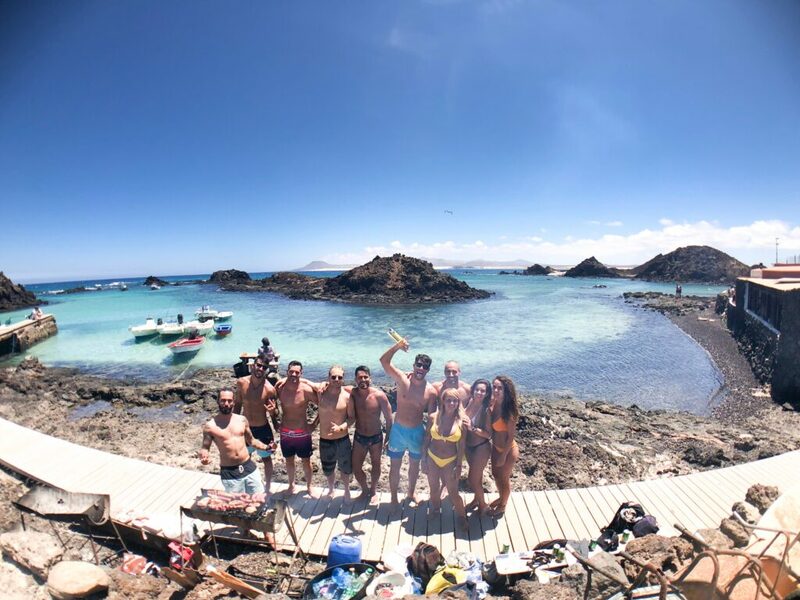 After a day’s surfing, relax in the surf house, socialize over dinner in one of many local restaurants or with a BBQ around the swimming pool or at the beach, talking story before heading into the party town of Corralejo for tapas, beers and Karaoke or some live music nights in Lajares. 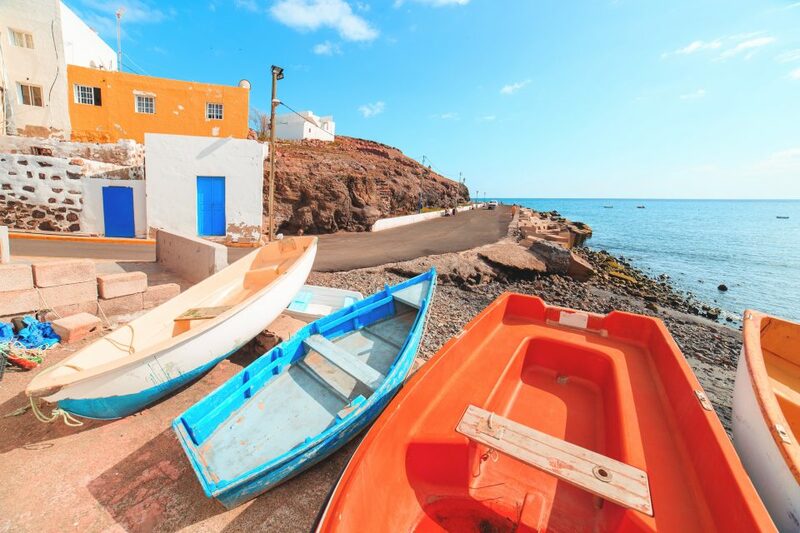 Apart from great surfing conditions all year round, we have chosen El Cotillo as our surf house destination because it offers some of the island’s best places to eat and spectacular rural views. Beach-front accommodation at Fuerteventura’s most beautiful lagoons! Our surf house is located on the northwest coast of Fuerteventura, right on El Cotillo’s beautiful beach. Here, we have easy access to three coastlines offering over 30 surf spots with some of the island’s best waves for all surfing abilities. Our surf house consists of three modern and spacious apartments, each stretching over two floors with two balconies and two sun terraces. Depending on your choice of surf holiday package, our accommodation ranges from shared rooms with bunk beds for 6 – 8 surfers in our SURF & SHARE packages, shared rooms with single beds for 3 – 5 surfers with our SURF & TURF packages and private rooms for with one double or two single beds for 2 surfers when booking our SURF & RELAX packages. We provide all our surf holiday guests with fresh bed linen and bathroom towels. The communal areas include large open-plan, communal eating areas, fully-equipped kitchens with tea and coffee facilities and a spacious and comfortable lounge which includes a HD cinema projector and flat screen TV. Outside, you’ve got chill-out areas with sun chairs around the swimming pool as well as an additional entertainment and eating area. Car parking and laundry facilities are also available on-site. Please note that check-in time for our surf house is from 15:00 o’clock. Should you arrive on Fuerteventura earlier, you are welcome to leave your bags in our surf school and explore El Cotillo. 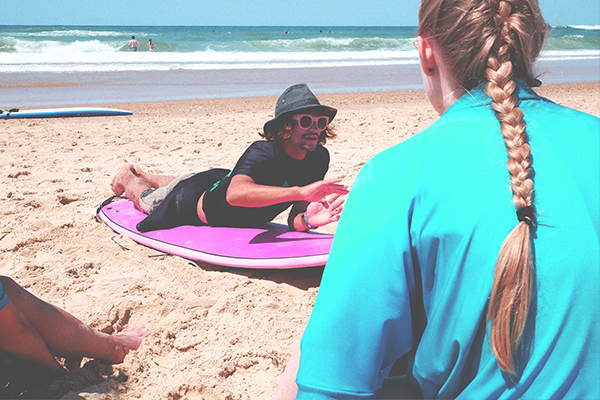 Renowned for our fun, professional and enthusiastic approach to teaching surfing! On Fuerteventura, our very own Star Surf Camps surf school is only a 100-meter stroll away from our surf house. From here, we run two surf sessions per day, one for surf beginners and one for intermediate surfers, each for three hours. Lessons include all surfing equipment (wetsuits, leashes and surfboards) and transport to the day’s surf spot. The maximum group size for each lesson is eight surfers per one instructor. Our international team of professional instructors don’t simply watch you from the beach, but get in the water with you to help you catch the best waves. During your surf lesson, our surf instructors are in the water with you, helping you catch waves and improving your surfing quickly. 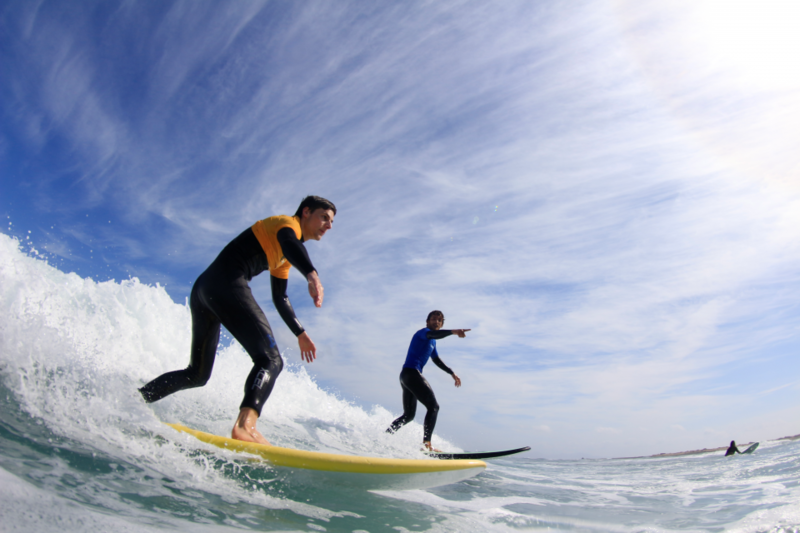 All our surf instructors are experienced, fully licensed and qualified and also have a lifeguarding qualification. To ensure you’ll get to surf the best waves suited to your surf level, all our surf holiday guests are divided into groups and taken to different surf spots. Our expert surf team is always at hand to answer any questions you might have on your technique or the intricacies of the local point, reef or beach breaks. You want to get serious about your surfing when on surfing holidays on Fuerteventura? 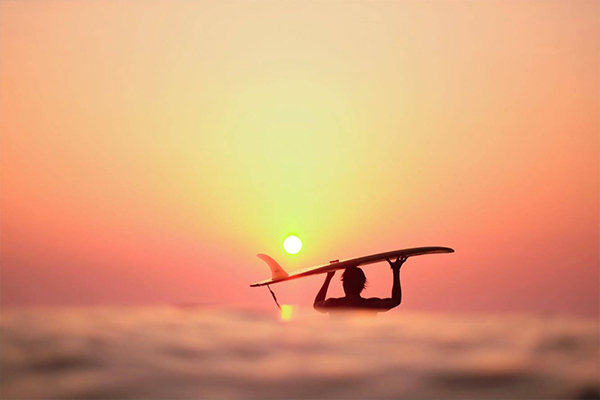 Then get extra time in the water and free access to all surf equipment during your stay with our Surf Deluxe Upgrade! This surf package is available with any of our Fuerteventura Surf House Packages and gives you more time in the water with two additional surf lessons incl. all surf lesson transfers and FREE surf equipment rental outside your surf lessons for just 49€ per week/person! Surfers love our Yoga Deluxe Upgrade! After a fun-filled day of surfing on Fuerteventura, there is no better way to unwind than with a relaxing yoga session to strengthen your body & revitalise your mind! Yoga has long been going hand in hand with surfing, which is why all our Fuerteventura surf holiday packages include a FREE introductory session to yoga. In our very own yoga studio, we offer a range of yoga styles including Vinyasa Flow Yoga, Ashtanga Yoga, Hatha Yoga and Acroyoga. Our professionally qualified yoga instructors adjust each session to their students’ abilities which makes us able to offer yoga sessions suitable to yoga beginners as well as experienced yogis. So, why not treat yourself to one of our Yoga Deluxe Upgrades when on surf holidays to receive some extra vitalisation for your body and mind! 5 sessions (75 min each) of yoga tuition for only 49€. 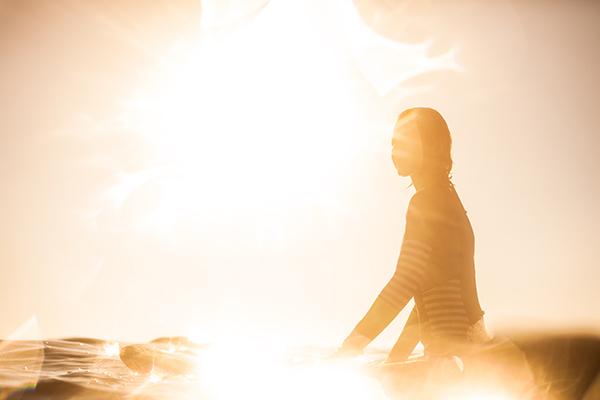 Yoga for Surfers: A yoga practice created to bring more strength and stretch to surfers and to rebound the body after a surf session. Yoga Dance: A creative form of movement where yoga asanas and dance are combined in rhythm with music. Fluid conscious movements and a lot of fun! Yoga Nidra: Known as ‘yogic sleep’, this is a state of consciousness where the body is deeply relaxed and the practitioner remains in a state of withdrawal of the five senses following verbal instructions. 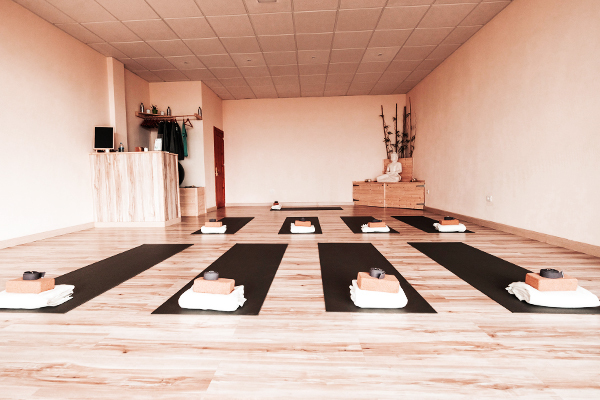 Take a look at our Yoga Studio in El Cotillo here! Our most popular surf packages include three dinners which mark the social highlight of every surf camp week with all our surf holiday guests and surf house staff coming together to talk about the days’ surfing whilst being treated to delicious traditional and Western dishes and a few bottles of Canarian wine! For your dinners, we’ll take you out to our favourite local restaurants. Together with each restaurant, we’ve have put together a menu, so you can try a variation of local as well as Western foods during your surf holiday with us! 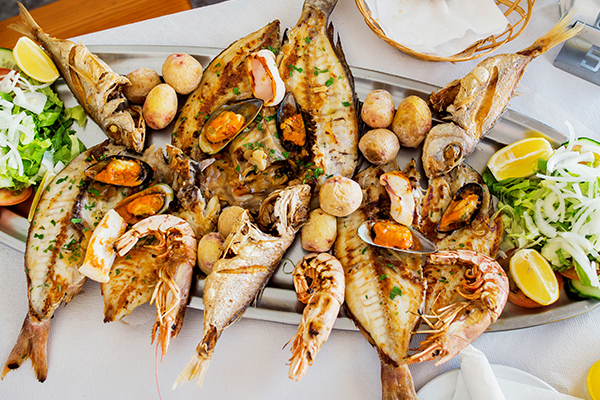 Twice each week, our lovely surf house host takes the night off which gives you the chance to head into town to discover some more local specialties in one of many brilliant restaurants. 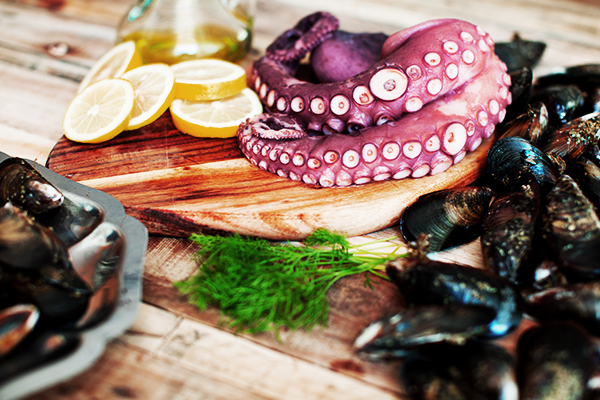 And be assured, El Cotillo has something in store for everyone’s taste and budget! All meals can be adjusted to vegetarian, vegan and/ or carnivore dietary requirements. Join Star Surf Camps on Fuerteventura for a fun, social & relaxed surfing holiday week! Our surf house’s relaxed and social entertainment schedule is adjustable to the weather and your preferences. Besides surfing, there are many other fun activities we do here. So, how about a sunny day of beach games, an outing to the striking stone-built windmills around the rustic landscapes of Lajares and La Oliva for a sunset wine, a night of games or surf movies, a BBQ, a snorkel or longboard sessions, a sunset session on the beach with music and drinks. There’s lots for you to do and see and our surf house offers many fantastic opportunities for you to relax or mix and mingle. And if you fancy a night out on the town, we can arrange trips to lively Corralejo and its many cocktail bars, live music venues or clubs. On top of that, there’s lots more to do in & around the surf house. After a long day on the beach and surfing Fuerteventura’s amazing waves, browse through our extensive collection of international books and magazines and read your pick of the day in one of our sun loungers by the swimming pool. We’ve also got balance trainers, yoga mats, exercise equipment, skate- and longboards, beach and board games, a Nintendo Wii and an HD projector to use with our flat screen TV. And should you want to relax after your surf lessons, our surf houses are large enough for private space and some quiet time. We also offer yoga and fitness sessions for the ultimate relaxation at the end of a surf camp day! We have chosen our surf house location on Fuerteventura carefully and have found in El Cotillo, in the northwest of the island, a true surfer’s paradise! From our surf house, we have easy access to the famous North Track, 270 degrees of surfable coast with more than 30 surf spots. Our surf holiday guests can join us here on a real surf trip in search of the day’s best waves, checking surf forecasts frequently and being part of a group of fun, relaxed and like-minded surfers. We provide transfers to all your surf lessons. If you are an advanced surfer and want to spend more time in the water, we highly recommend hiring a car to make the most of exploring and surfing Fuerteventura’s North Track. But great surf is not all Fuerteventura has to offer: An amazing landscape lies right in front of our surf house with volcanoes to climb and beautiful, turquoise lagoons to explore! So, whether you’re looking for more action after your surf lessons or just want to relax on the beach, swim or snorkel, it’s all just a stone’s throw from our surf camp door! And should you not be planning on hiring a car, the closest bus stop is only 100 meters from our surf house, and Corralejo or Puerto del Rosario are in easy driving distance for an afternoon of shopping or a night out on the town. On top of that, public transport is comparatively cheap, regular and easy to use, so you’ll get to wherever you want to be in no time. A supermarket that’s open 7 days a week from 08:00 – 22:00 is right across the road together with a bike rental, car hire, massage studio and Segway rental shops. How to get to our Fuerteventura Surf Camp? Fuerteventura’s airport near the capital city Puerto del Rosario is serviced by all major European budget airlines. An airport shuttle from Puerto del Rosario is the easiest way to get to our surf house. We can help you arrange your shuttle from the airport directly to El Cotillo. Just get in touch with one of our surf travel experts who are always happy to assist you by in booking your surf holiday. If you’re thinking about hiring a car for the duration of your surf holiday, you can find us simply by heading north when leaving the airport. Follow signs to La Oliva first, then signs to El Cotillo. From the airport, take bus No. 3 to Puerto del Rosario. From here, bus No. 6 will take you to Corralejo. Hop onto bus No. 8 which will get you to El Cotillo; simply exit at the last stop. Let us know your flight times in advance and we will meet you at the bus stop. Three times a day, there’s a bus going directly from Puerto del Rosario to El Cotillo. Taxis from the airport to our apartments are around 55€. Check-in time for our surf house is from 15:00 o’clock. All our surf holiday guests arriving earlier can drop off their luggage at our surf school and explore El Cotillo. Fuerteventura gets more days of sunshine per year than Maui, Hawaii? 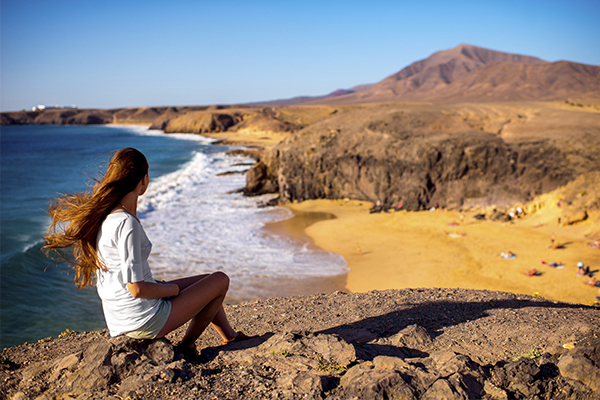 Get more fun facts about Fuerteventura, Europe’s Hawaii here! Is the surf house on Fuerteventura located on the beach? Yes, our surf house is front-line to the beach. We have a perfect location in the North of Fuerteventura which allows us to be flexible when choosing the best surf spots of the day - according to weather and swell conditions along the North Track and El Cotillo. There are plenty of budget airlines that service Fuerteventura and offer cheap flights from all across Europe. Most people don’t know that also Ryan Air and Easy Jet are flying out here from major cities in Europe. 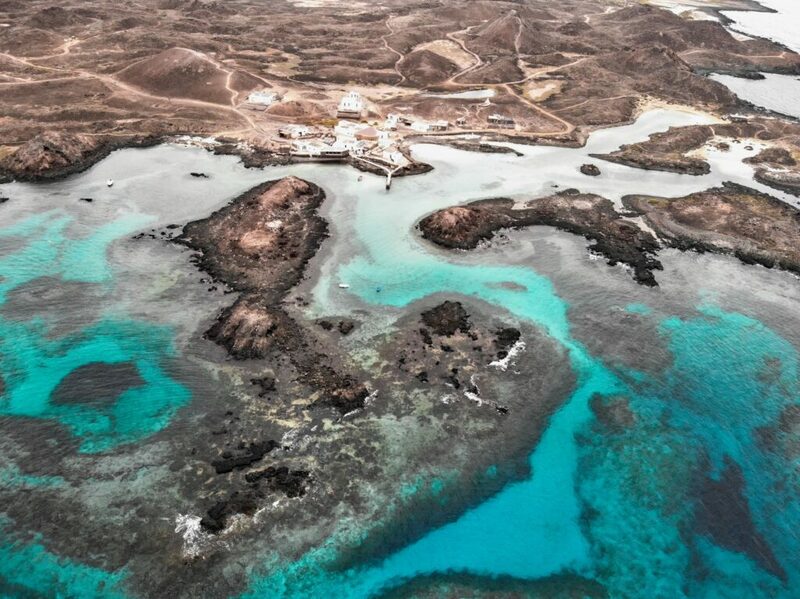 You can also fly to Lanzarote and catch the ferry from Arrecife to Puerto del Rosario or Corralejo as the ferry takes you to the island in 1,5 hours. If you're not joining our surf transfers for at least five surf lessons per week, we'd always recommend renting a car to get around. Although El Cotillo and its beach have a lot to offer, the surfing paradise of Los Lobos and other surf spots along the North Track are only within driving distance. Most hire companies rent cars for as little as 80€/week. Feel free to contact us for the best rates on rentals! Fuerteventura is a relaxed island with one of the world's best surf spots around the North Track and Lobos Island. Besides surfing, there's an abundance of stunning white beaches and crystal clear, turquoise lagoons perfect for snorkelling trips, Lagoon explorations, Stand Up Paddle boarding or just a refreshing swim. The beautiful sand dunes of Corralejo are also only a 10-minute Camel safari away, or how about you grab one of our longboards to explore the surrounding area or drive to the cosy surf village of Lajares with its authentic shops and restaurants? We've also got Yoga sessions availiable for you to relax after your surf sessions.